If your couch still has years of structural life left in it but the outer fabric has stains or tears, reupholstering the couch may enable you to keep it a few years longer and save some money now. When you reupholster a couch, you cover the existing fabric with new fabric. Select a fabric you like that complements your other decor and then estimate the yardage you'll need to complete the reupholstery. When you finish, your couch will have a whole new look. 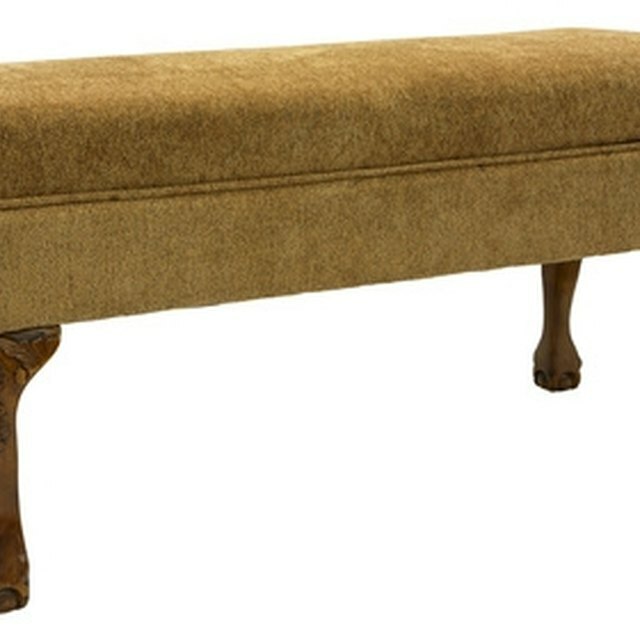 Estimate yardage to reupholster a couch with new fabric. Measure the length of your couch from the left edge to the right edge and write this measurement down. Estimate 10 yards of fabric for a 6-foot couch, 11 yards of fabric for a 7-foot couch and 13 yards of fabric for an 8-foot couch. Add 3 extra yards of fabric if the couch has a ruffled skirt or a taller back than typical couches. Add 2 extra yards if your couch has button tufting in the back of the couch. Add 1 extra yard of fabric for each 6 yards of fabric if your fabric has a pattern repeat. Repeating fabric will have a recurring design pattern along the fabric. Florals and stripes are two common repeating fabrics. If your fabric repeats, you may need extra fabric to match the repeats as you cover the back and the cushions of the couch.